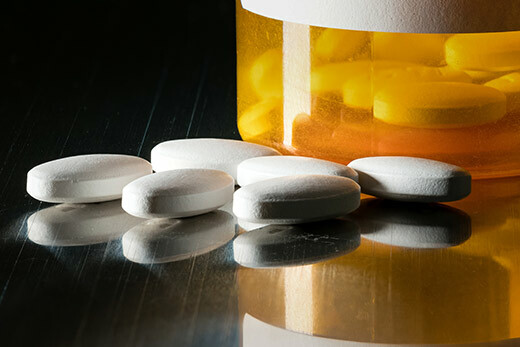 As part of the ongoing “Conversations with America” series, Emory will host a town hall-style discussion focused on America’s opioid crisis, the latest installment of a national program intended to foster a deeper understanding of American views on critical issues. Conducted in collaboration with NBC and Wall Street Journal pollster Peter D. Hart, the event will be held Wednesday, Jan. 24, from 4 to 5:15 p.m. in the presentation room, located on the top floor of Emory’s Oxford Road Building. The gathering is free and open to all Emory faculty, students and staff. The series was launched last fall as part of Emory’s effort to advance and promote conversation and civil discourse on some of the most pressing issues facing the nation, including topics such as immigration, race, education and health care. “We cannot begin to address the most divisive challenges facing our nation without first taking the time to listen to the broad range of opinions and experiences across the nation,” says Emory University President Claire E. Sterk. Following an introduction by Sterk, Hart will present findings from the second “Conversations with America” focus session, which addressed opioid addiction, held Nov. 15, 2017, in Wilmington, North Carolina. The focus group also discussed the state of the nation and the current political environment. The “Conversations with America” series launched last August in Pittsburgh, Pennsylvania, when Hart moderated an open discussion among a diverse cross-section of American citizens. The gathering explored attitudes on the current state of the nation, with particular attention to the issue of immigration. The series is intended to offer an opportunity for Emory students, faculty, staff and the public to hear a broad array of citizen voices capturing a range of opinions on national issues. The research team will provide a full-length video and independent summary to the Emory community and the public. Hart is the founder of Hart Research, which focuses on public policy and cultural issues. He has taught public opinion and public policy at Duke University, the Annenburg School for Communication at the University of Pennsylvania and the University of California, Berkeley. Those interested in attending this month’s town hall event at Emory are asked to register here.